GOLD FILLED 14/20 FLAT GLISTENING OVAL LINK NECKLACE. Quality: 14/20. Length: 18 inches. Clasp: Spring clasp. Style: Glistening flat oval link style chain. Width:1.5mm. 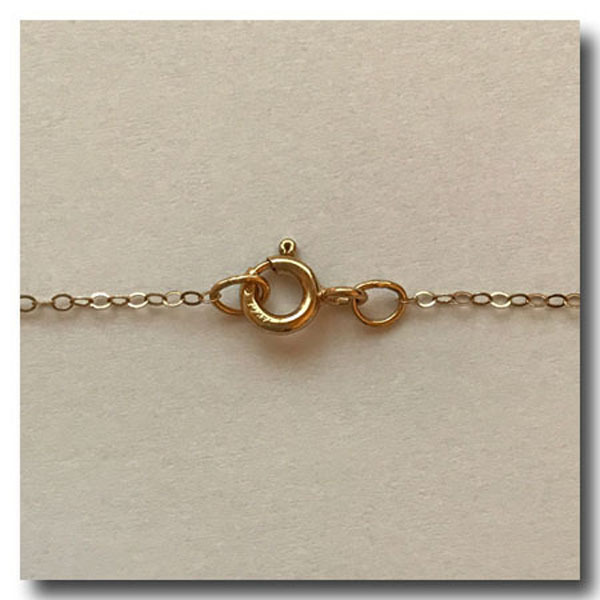 This delicate micro link finished necklace is perfect to wear alone or with a pendant. MADE IN USA.